Need a VPN for your router? Note: You will need a DD-WRT firmware that can run the latest VPN configurations and has a minimum of 8 MB of flash. This article will show you how to set up ExpressVPN on your DD-WRT router, using the OpenVPN protocol. 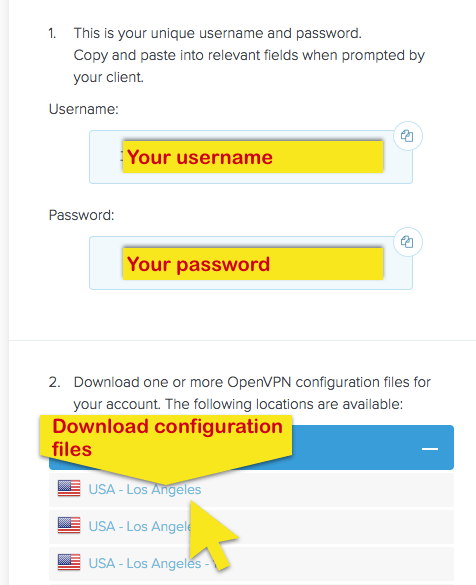 To set up ExpressVPN on your DD-WRT router, you will first need to download the OpenVPN configuration files. This allows you to connect to the ExpressVPN servers. 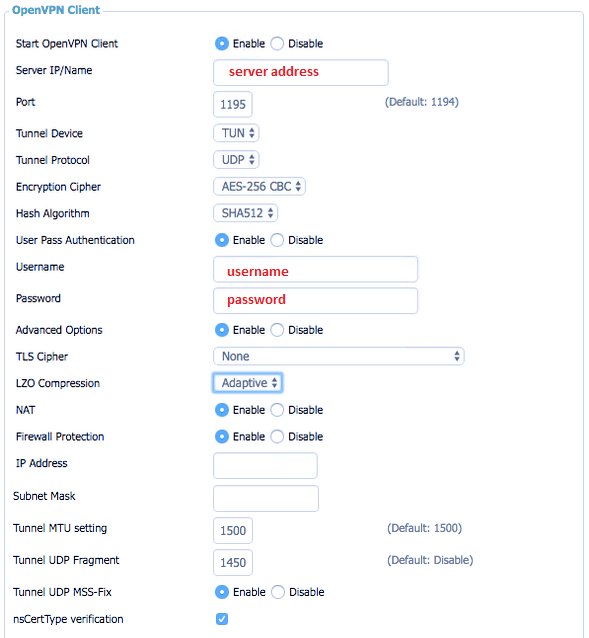 Follow these instructions to configure your router with OpenVPN. Click on Manual Config on the left side of the screen and then select the OpenVPN tab on the right. 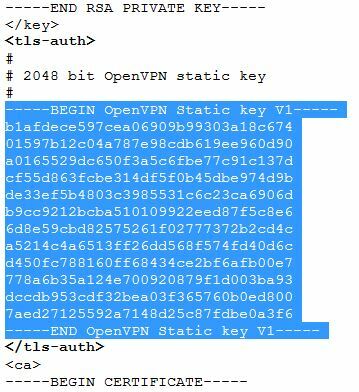 You will first see your username and password and then a list of OpenVPN configuration files. There is a file corresponding to each available ExpressVPN server location. 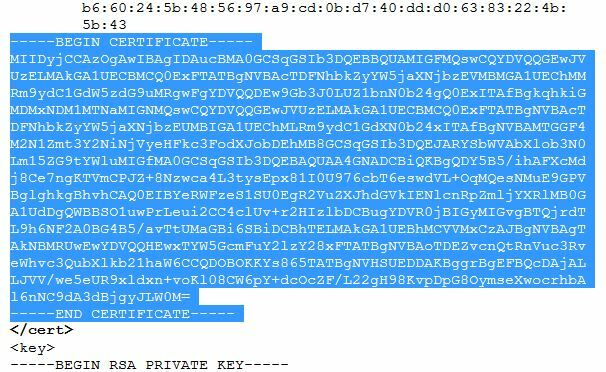 Download and save the .ovpn file(s) or locations (e.g., Los Angeles, New York, etc.) that you wish to connect to. 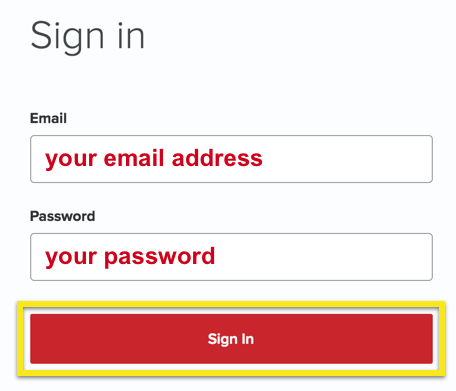 Note: Have your username and password ready, as you will be asked to enter them later in the setup process. Need help? Click here to contact the ExpressVPN Support Team for immediate assistance. On your web browser, go to your router’s settings page. On most DD-WRT routers, the default address is http://192.168.1.1. 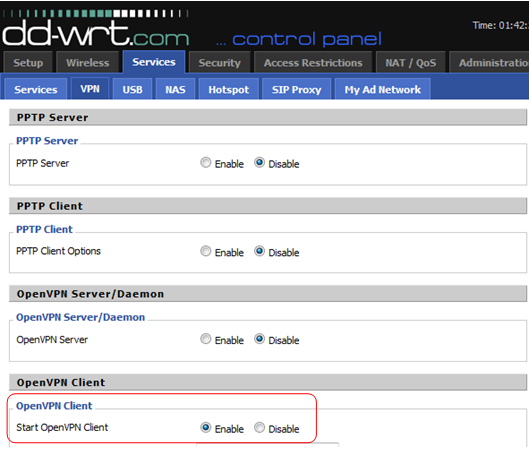 In the DD-WRT main control panel, click on the Services tab, and then click on the VPN sub-tab. Enable the Start OpenVPN Client option. This will reveal the OpenVPN configuration panel, where you will enter your settings. The next steps depend on whether you are using a new version of DD-WRT firmware that has User Pass Authentication. The Server IP/Name is the address of the ExpressVPN server location you want to connect to. Open the .ovpn config file using any text editor. Copy any one of the “remote” server cluster names listed in the config file, and paste it into the Server Address/Port field of the OpenVPN basic control panel. Do the same for the port. 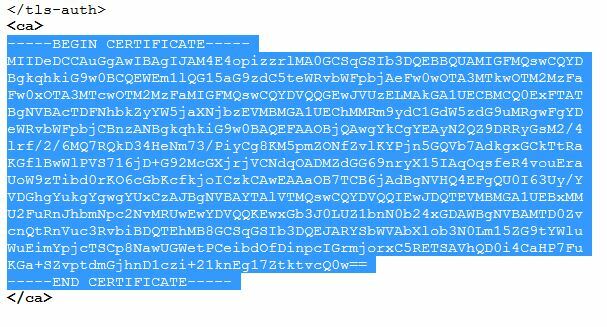 For the keys and certs, please see the instructions below this section. Click on Save, and then click Apply settings to start the connection to the VPN. For users of DD-WRT without User Pass Authentication, please follow the instructions here. 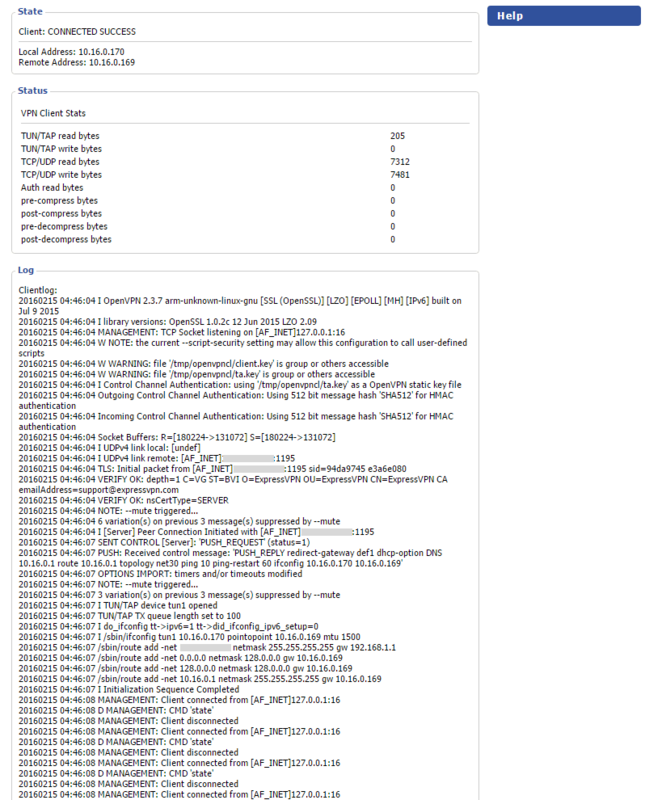 To check on your connection status, Click on Status > OpenVPN. If you only see blank forms, something must not have been seen properly. You might have to retry. It should look like the screenshot below. 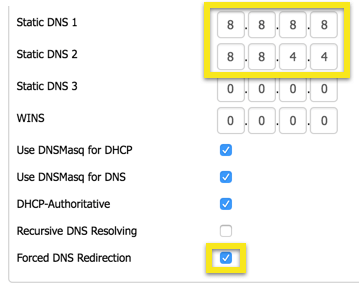 On the router dashboard, go to Setup > Basic Setup. At the bottom of the page, click Save and Apply Settings. At the top of the page, navigate to Services > Services. Try to connect to the VPN on your router. Go to Administration > Management and click Reboot Router.